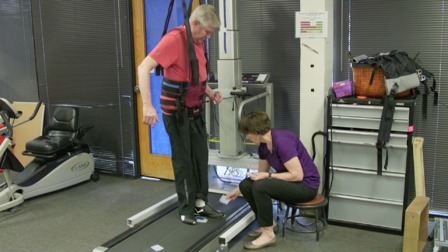 Older adults with neurological deficits have a greater risk of falling due to balance-related issues. This can lead to fear of falling, which in turn may decrease the patient’s mobility and further increase the risk of falling. This decreased participation and physical activity negatively impacts the patient’s quality of life. Join Dr. Wing as she presents an innovative progression of interventions from simple to complex balance activities to challenge and facilitate balance for function in a variety of environments. 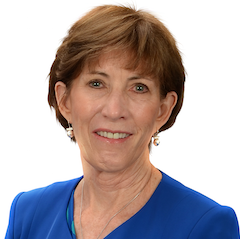 Kay Wing, PT, DPT, NCS is the owner of Southwest Advanced Neurological Rehabilitation (SWAN Rehab), an outpatient rehabilitation facility specializing in the treatment of stroke, traumatic brain injury, and other neurological diseases. She received her physical therapy degree at Northwestern University and her doctorate of physical therapy from Northern Arizona University. She is a board certified specialist in neurological physical therapy. Dr. Wing has taught courses in neurological rehabilitation and mobility training as well as instructed PNF workshops throughout the United States and internationally for many years. Dr. Wing has collaborated with A.T. Still University, Northern Arizona University, and Arizona State University in clinical research to incorporate research into clinical practice and is an adjunct faculty member at Northern Arizona University and A.T. Still University. Dr. Wing is the recipient of the Section on Administration Outstanding Service Award, the Arizona Physical Therapy Association Outstanding Physical Therapist of the Year award, the Neurology Section Award for Clinical Excellence in Neurology, and the Henry O. and Florence P. Kendall Practice Award. She was also a finalist for the 2016 Phoenix Chamber of Commerce Athena award. In ADL and IADL activities patients will encounter challenges to balance. Functional training to practice strategies to safely negotiate these various tasks allows the patient to experience confidence while learning new motor stratagems. Optimal recovery for those with neurological deficits should address patient participation outside of the home. Negotiating outside and community environmental challenges needs to be included in the plan of care.